Roadsides, railroads, fields, fencerows; vacant lots and other disturbed places; clearings in forests, shores. First collected in 1911, in Berrien Co., and spreading rapidly since then. 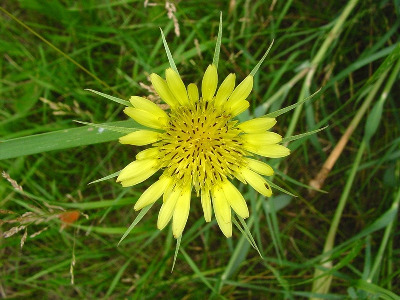 The achenes (including beak but not pappus) are ca. (2.5–) 3–3.5 cm long at maturity. MICHIGAN FLORA ONLINE. A. A. Reznicek, E. G. Voss, & B. S. Walters. February 2011. University of Michigan. Web. 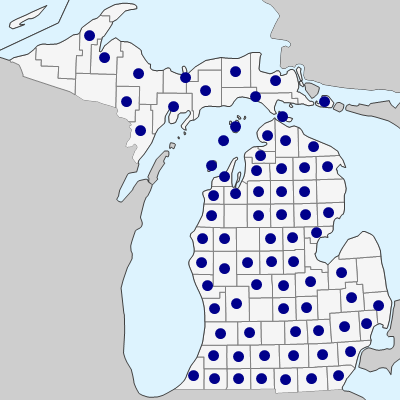 April 21, 2019. https://michiganflora.net/species.aspx?id=507.